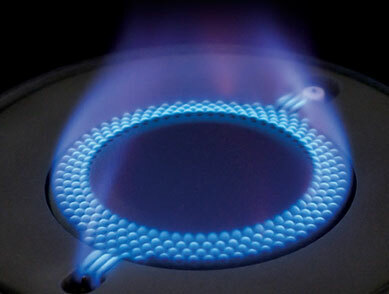 We at Ariston Appliances have been working constantly since 45 years to simplify your life. 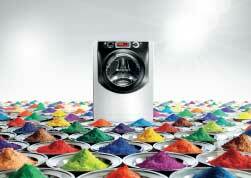 We have made and continue to make new and economical breakthroughs in the world of domestic appliances. We offer home, kitchen and cooking appliances which are unique in style and thereby redefine your house by giving it an edge. We deal in a wide range of appliances like ovens, hobs, hoods, Dishwashers, Drawers, Refrigerators, Washing machines and Coffee machines. We have used cutting edge technologies to cater all your domestic needs. Attention has been paid to design appliances which are easy to use, sleek in design and have innovative functionalities. Our main motive is to develop products that merge technology, innovation and lifestyle effortlessly. With our microwave, ovens, hobs, hoods and coffee machines perfect cooking would not seem to be an unachievable task. Our appliances can transform your kitchen into a place where you would like spending time in. 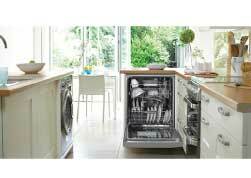 We offer multi system dishwashers which help you in making your life clutter free. Our range of laundry appliances which includes washers and dryers, give you the flexibility of creating exceptionally beautiful laundry room and reduce the hassle of laundry. 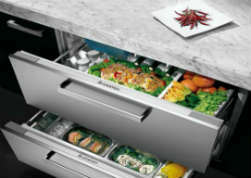 Ariston Appliances combines style, performance and comfort to suit your refrigeration needs.